This was supposed to be the easy part. London to Warsaw, a couple of train changes and a nice easy introduction to training across the world, the perfect introduction to get us back into that travelling mindset. Well, Day One of our adventure was more a baptism of fire than a nice leisurely break into solo travelling again. This is how the day was supposed to pan out. After farewell champagnes with Natalie’s parents we caught the Eurostar to Brussels. In Brussels, granted, it was a short turnaround of twenty minutes, but then it was the German ICE train straight to Frankfurt and forty-five minutes to then board our overnight sleeper train to Warsaw. Everything started well, we said goodbye to Natalie’s folks and passed immigration and security with plenty of time for the Eurostar. 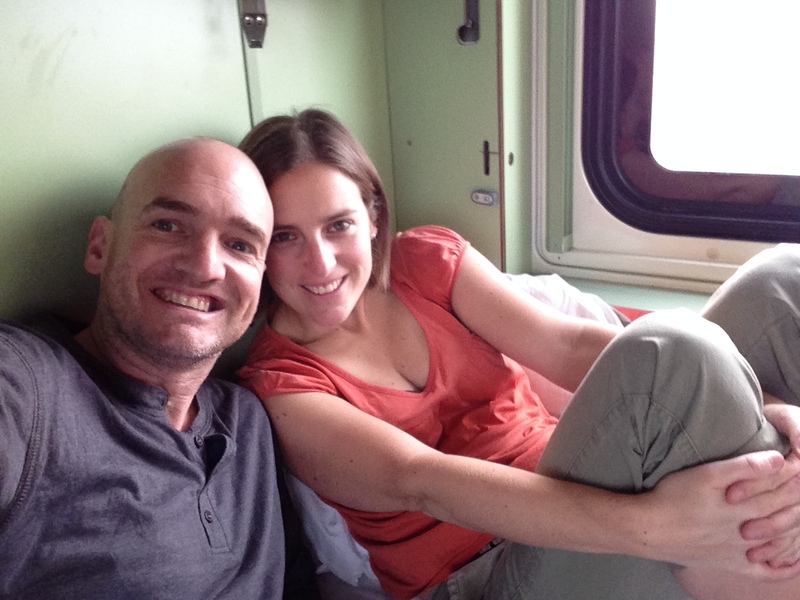 We had learnt our lesson from our honeymoon where we cut timings very very fine to make our train. The Eurostar pulled out on time and everything was going great, our adventure had begun, all the planning, the reading and researching was finally a reality. Then we were thrown one of those travelling curve-balls that everyone experiences at one time or another. All your planning, all your research goes out the window and your travel experience kicks in. We arrived at Brussels Midi station and had what we thought was an easy two platform changeover to the ICE train. However, when we got there the information boards were flashing red wording in both French and Flemish. While not fluent in either one of these languages, the translation was easy – ‘Leaves From Another Station’. What?! This can’t be! We managed to track down a local attendant who told us to find the German train information desk. Running through the station, watching the minutes tick down until our departure we finally managed to find the Deutsche Bahn info desk to be told there was a problem with the train and now we had to catch a local train to Liege and hopefully a connection to Frankfurt from there. We raced to the platform and jumped on the train to Liege (literally) as the doors closed and the train pulled out. The next hour and ten minutes seemed to drag on, we poured over possibilities, would we make Frankfurt in time for the sleeper train, could we meet it somewhere else or worst case scenario what to do if we missed it. Upon arrival into Liege the conductor informed everyone that the ICE train would be departing from an adjoining platform, and would begin from Liege to Frankfurt. We had made it! Or so we thought. We boarded what turned out to be our scheduled train, rail problems between Brussels and Liege had caused the rescheduling last minute, but now the train was departing over an hour late, and due to arrive into Frankfurt six minutes after our sleeper train was due to depart. I managed to hunt down the conductor and in my best German explained the situation – we just could not afford to miss that train. ‘Oh you will be fine’, he replied, ‘I think they will wait for you’. As we hurtled through the night at over three hundred kilometres an hour watching the minutes tick by we became more and more nervous we would miss the train. Another visit to the conductor and this time less reassurance than my previous visit did nothing to calm our nerves. As we pulled into Frankfurt station the conductors voice blared out over the speaker system, ‘Those passengers going to Warsaw your train departs from Platform 1 and is waiting for you, please hurry’. Now this is where there is a little blurring between fact and fiction. I like to imagine that mad dash for the train to be like a scene from an action movie. The doors popped open and Natalie and I bolted out the carriage, down the stairs and through the tunnel accessing the platforms. 15, 14,…..4,3,2 and finally Platform 1. In front us now looked like what was the world’s largest stair case. We scampered up as quick as we could to see the train slowly beginning to move, a conductor leaning out our carriage entrance calling for us to run. As we came up alongside the open carriage door, the train picking up pace, we threw first our day packs and then our rucksacks to the conductor. First Natalie, then I were dragged onto the train. Lying there exhausted, panting and out of breath, we looked up to the smiling conductor who slapped us on the back and thrust a bottle of vodka into our hands. Sadly however that’s not exactly what happened. We ran down the access platform the stairs and finally made it to our carriage, literally we jumped on, the doors closed and we were met with the disdainful look of the female conductor, who muttering something in Russian under her breath, showed us to our sleeper cabin. We collapsed in a heap onto the bottom bunk and just looked at each other, we couldn’t believe we had somehow made that train. Surely the entire four months were not going to be like this. A stressful Day One to our adventure, but a timely reminder that it doesn’t matter how well prepared you are, how much research you have done, things change at a moment’s notice, and it is these experiences we will never forget and can laugh about later on. However, I really do hope we don’t have to run for any more trains! 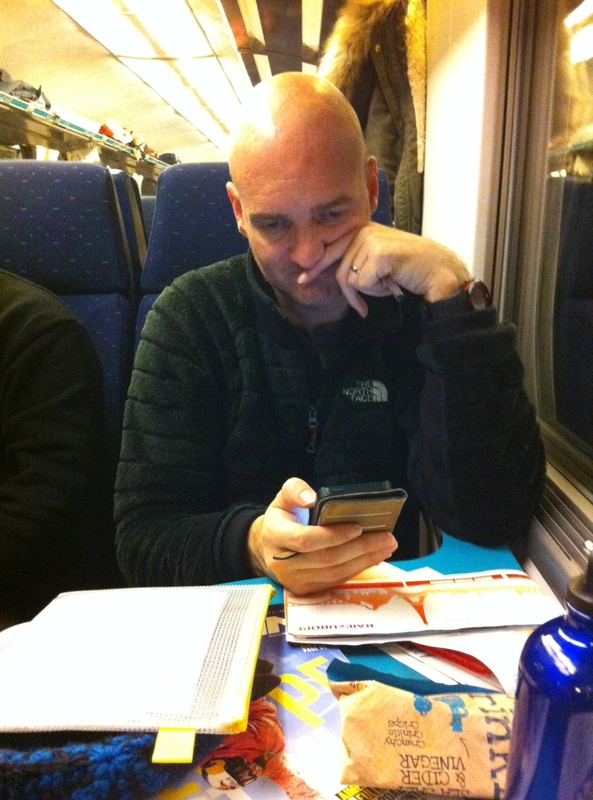 This entry was posted in Europe, Travel, Trip Planning and tagged backpacking, Europe, Eurostar, trains, travel.